I finally had to give up on drawing her eyes open with just my fingertip. After many do-overs, I had to settle for this expression. When I looked back at it, I decided that she looked content. And it got me to thinking.... Feeling content with one's life has got to be one of the greatest joys we can hope for. 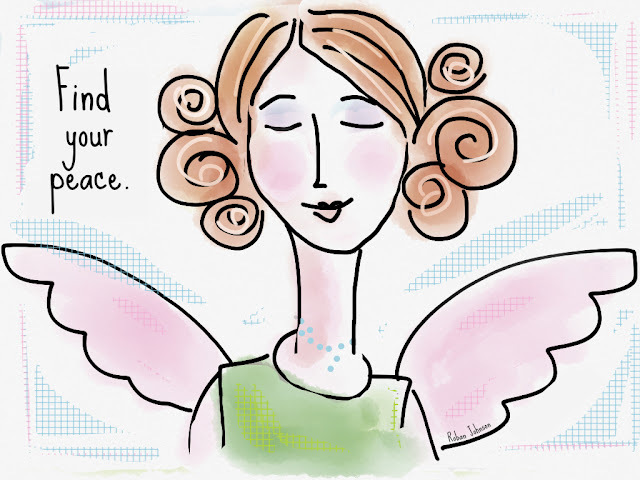 So, I hope you find your peace today... that you soak up a giant amount of contentment. It may be easy to grab hold of, or you may have to dig deep to find it. But I hope you experience it in spite of what life throws at you sometimes. Awesome drawing ... I may have to look up that app. And your post matched the drawing so wonderfully. She does look content, and I really like this sketch, Roban. looking and searching for contentment.....and praying for it, too !!! Sometimes It Takes More Than Willpower.